Better than new - start enjoying this beautiful resort collection home today! 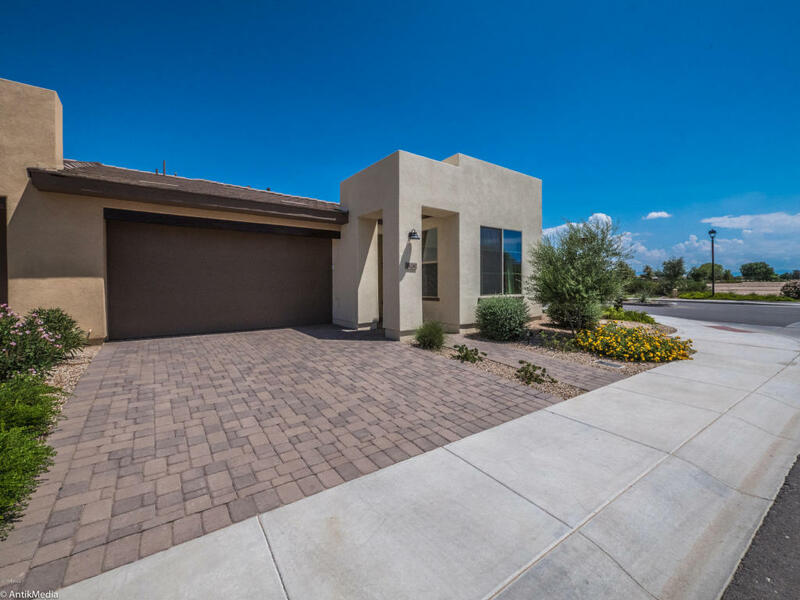 This home is a masterpiece of design w/model like appointments throughout. The kitchen is beautifully appointed w/custom back splash, upgraded staggered cabinets, SS Appliances w/designer hood, gas cooking, & beautiful engineered stone tops w/a farm sink. Both baths also include designer tile work & appointments, also tile flooring throughout (no carpet). Step out back to the covered patio that is surrounded by a fully walled & fenced yard situated on a corner lot w/no neighbors back & side. This home is steps away to the renowned resort amenities that Encanterra provides. With more extras & upgrades then can be described this is truly a MUST SEE!